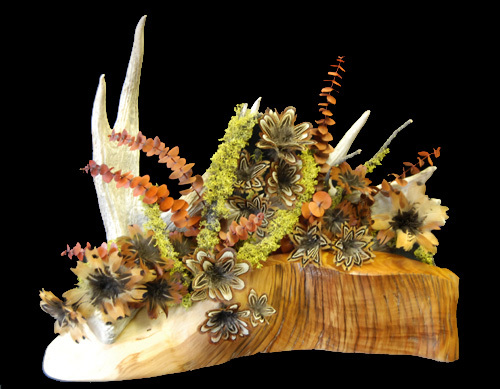 Dale Duby and his wife, Claudia, decided to open a retail store in the small town where they live in Prairie City, Oregon, to showcase Dale's flintknapping and woodworking skills. 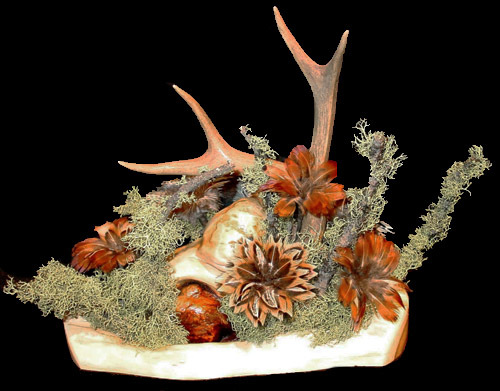 Prairie Trading Post has rustic Juniper Furniture and Juniper accents in stock, as well as pieces made from blued pine and barnwood; all designed by Dale Duby. Dale or Claudia would be happy to take your order to build a custom piece of furniture or an accent piece built to your specifications. All of their furniture is hand sanded and finished for a lifetime of enjoyment in your home or business. Claudia's crafts blend nicely with Dale's furniture pieces, as she arranges dried and feather flower pieces, wall hangings and baskets. 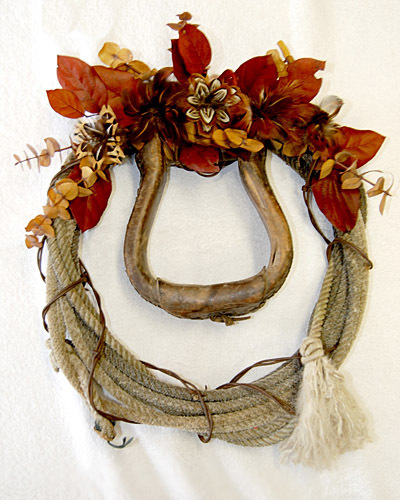 The dried flower arrangements are mounted on lariat and barbed wire, wood and baskets and bowls of various kinds. 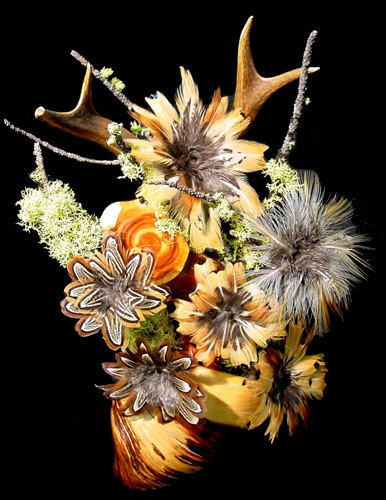 Feathers from colorful birds are made to look like flowers and are arranged with natural branches and dried florals into beautiful wall or table bouquets. 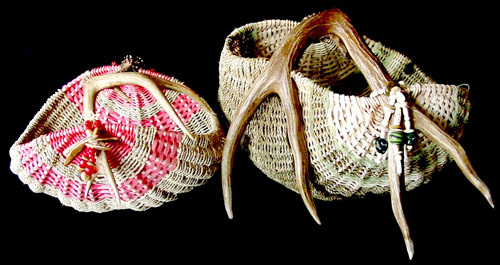 Antlers are often incorporated into her work as basket handles and added interest in the floral pieces. Click on any image below to enlarge and view descriptions. 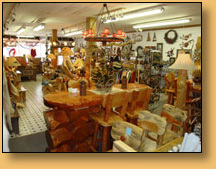 Prairie Trading Post also has many table and floor lamps, coffee tables, sofa tables, end tables, butcher blocks, and cedar chests made by Great Basin Art. 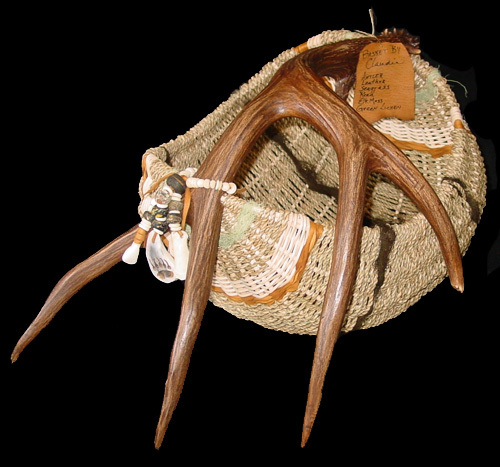 Antler products made by Great Basin Art include chandeliers, floor lamps, table lamps, candelabras, salt & pepper shakers, napkin rings, toothpick holders, business card holders, cribbage boards and buttons. 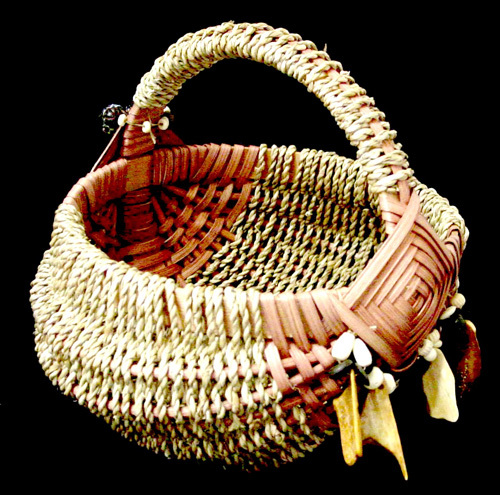 Western and Native American arts and crafts are found throughout the store, as well as prints by famous western artists. 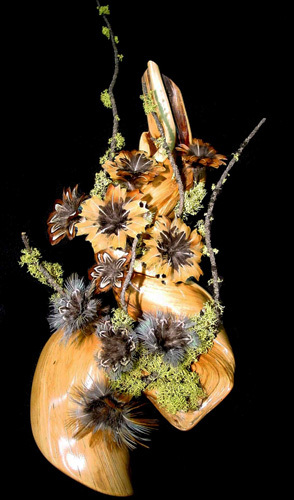 Woodcarver Mel McDaniel of Canyon City, Oregon specializes in carved pine knot Woodfellows and carved yard guards. 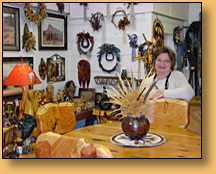 Prairie Trading Post is a truly unique shopping experience and you should come prepared to spend plenty of time searching for the special treasure or gift that is there somewhere in the store waiting for you to find it. For the ultimate shopping experience, come to Prairie Trading Post and delight in the warm and friendly atmosphere of this truly amazing store. 10:00 to 5:00 PM Tuesday through Saturday (open most holiday weekends). OR email Claudia at PrairieTradingPost@Ortelco.net. Copyright © 1998-2016 by Dale Duby of Great Basin Art. All Rights Reserved. Website Design by Silverton Web Works.